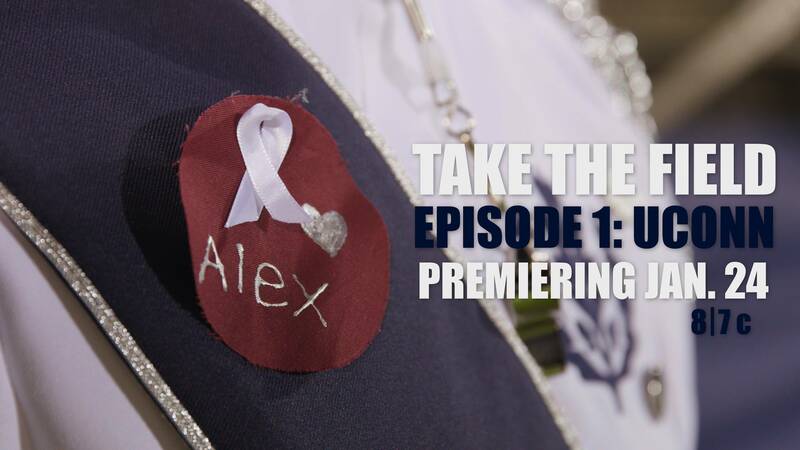 The first episode of a new documentary series called "Take The Field: The College Marching Experience" presented by CollegeMarching.com and UltimateDrillBook.com is now streaming on YouTube and Facebook. "The UConn football team hasn't had a winning season since 2010. In fact they have only won 30 games since then. There to support them every game no matter what is the UConn Marching Band. While the team struggles, the band has flourished and grown to over 300 members strong. Preparations for the first game are underway with a special halftime show honoring Marjory Stoneman Douglas student Alex Schachter, who was killed in the school shooting on Valentine's Day in 2018. The College Marching team joins the UConn Band for rehearsal and the first game." Enjoy episode 1 of "Take The Field". If you prefer to watch on YouTube click HERE. The series is Directed by David Parrella. Share the video and use #TakeTheField on social media to show your support for this series. Future episodes will feature the Penn State Blue Band, Texas Longhorn Band, Pride of Oklahoma, Purdue All-American Marching Band and the LSU Golden Band from Tiger Land. The trailer has received over 100,000 views helping to build the excitement towards the first episode. Watch the trailer here. If you prefer to watch on YouTube click HERE.